Olympian. Cyclist. Jetsetter. 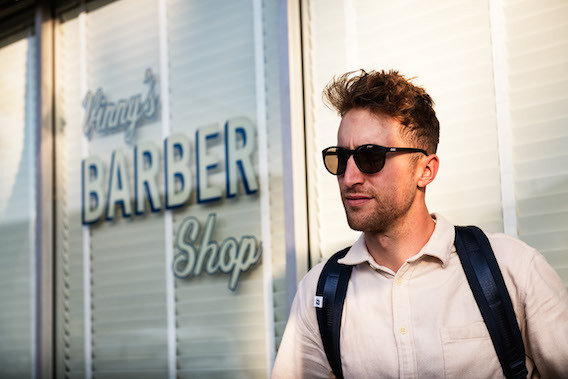 Hailing from a cycling family in Boulder, Colorado, EF Education First Pro Cycling rider Taylor Phinney is the definition of a global leader. Since the age of 18, he’s taken his passion for racing around the world, competing in the Beijing 2008 Olympic Games, Giro d’Italia, the Tour de France and more. When he’s not exploring new countries, cultures and racing scenes with the EF Education First team, he keeps a room in Los Angeles—and after spending time with Taylor in his home-away-from-the-race-circuit, it’s easy to see why. 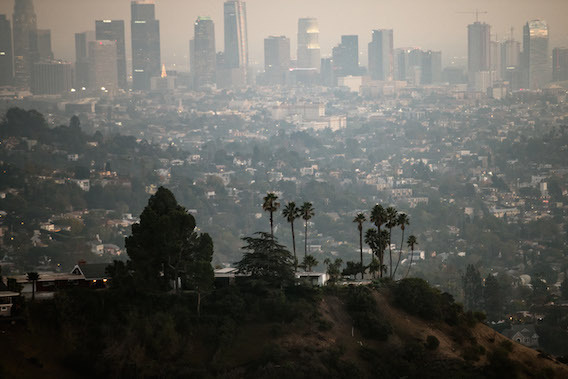 In LA the opportunities to explore are endless. And going beyond the beaten path can open up possibilities to connect with new people, learn about hidden gems and immerse yourself in new cultural experiences. 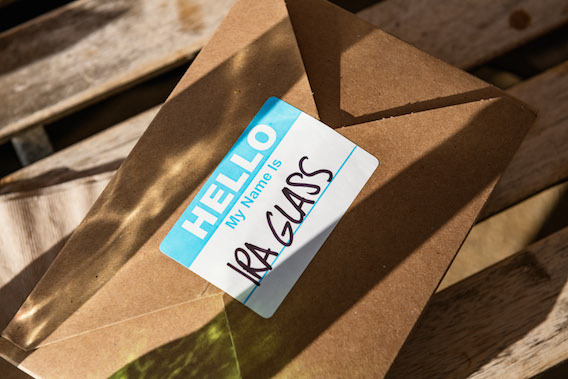 Within the city’s 500 square miles, there’s always something to discover. 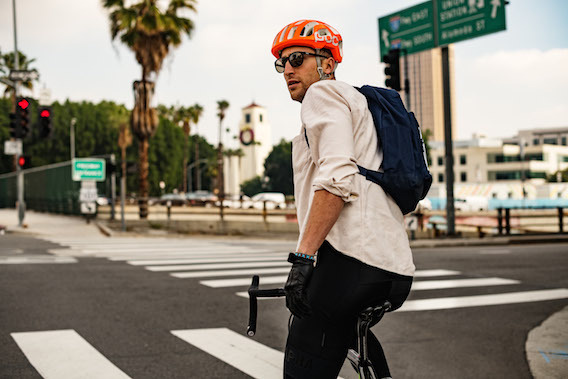 We learned this firsthand while joining Taylor on a joyride through his favorite destinations in the City of Angels (with his EF Explore America backpack in tow, of course). 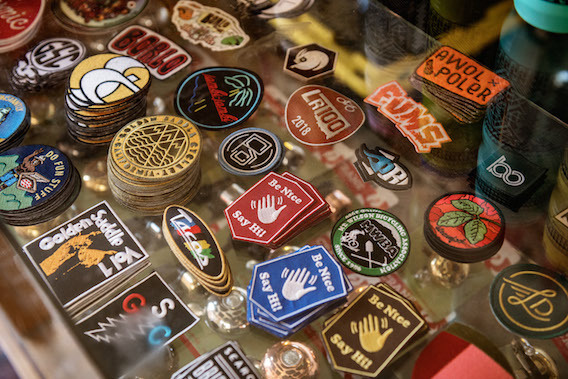 From hidden trail networks to lesser-known shops, follow our daylong LA adventure to see what keeps EFer Taylor coming back to this buzzing metropolis and why you should explore it for yourself. 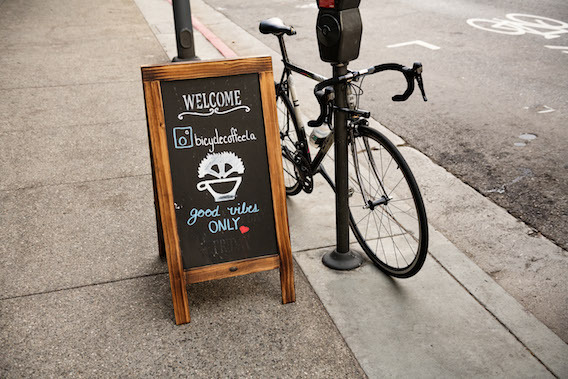 First stop: Bicycle Coffee Co., a cafe and roaster whose beans are distributed using specially fabricated bikes. 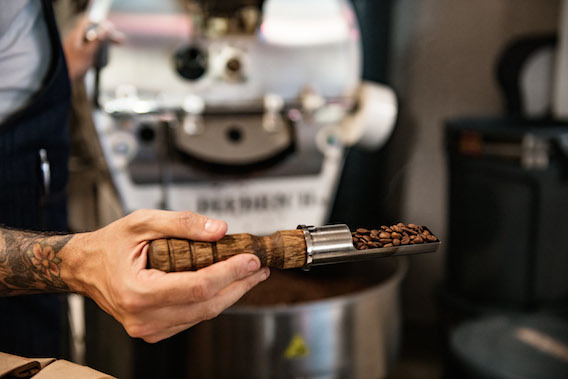 Serving up free cold brew and pour overs on Fridays, this Little Tokyo mainstay is perfect for a quick jolt before hitting the trails. Next up: Elysian Park. 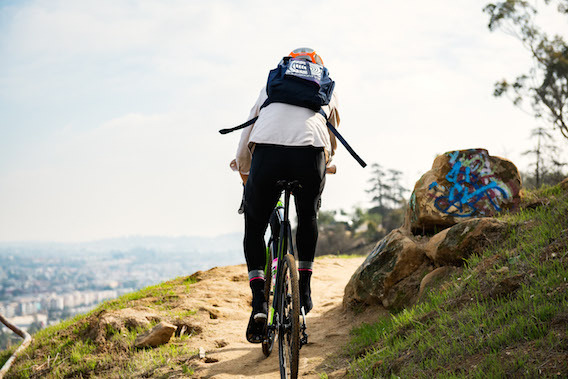 Located above Dodger Stadium, this park offers a perfect pocket of urban forest laced with ribbons of running and cycling trails. It’s a retreat from the city’s hustle and bustle, but the quiet is underscored by the chorus of the nearby police academy. 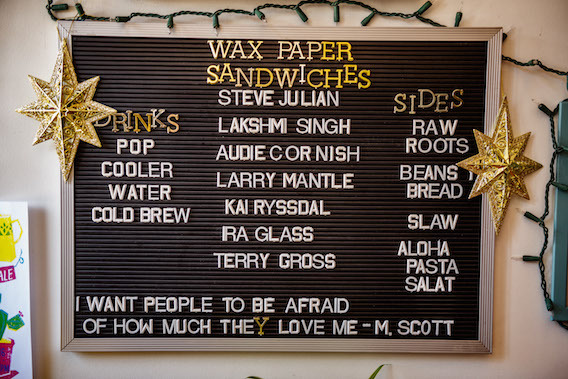 Cycling works up an appetite, and Taylor knows the perfect antidote: sandwiches from Wax Paper. Family owned and operated, this friendly Frogtown outpost offers up fresh, local fare and is easily accessible from the LA River Bike Trail. “No religion. No politics. 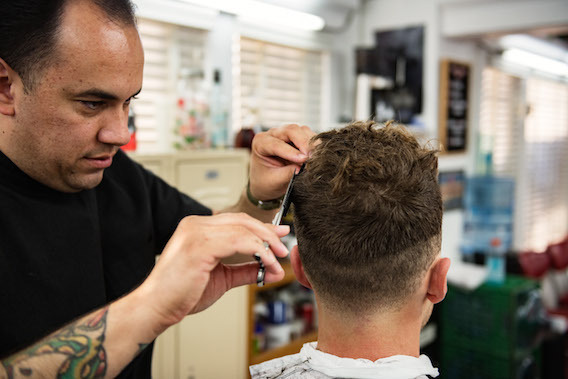 No phones during service.” That’s the motto at Vinny’s, a charming barber shop and a go-to for Taylor where services start at around $20. 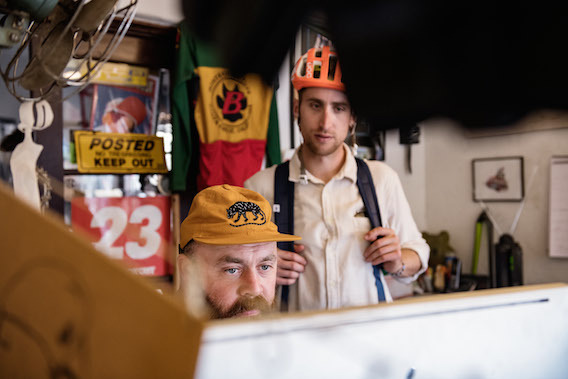 A beautiful neighborhood shop that feels nostalgic and progressive at the same time, Golden Saddle is the place to go for expert advice as well as a curated selection of bikes, accessories and apparel for cyclists of all abilities. 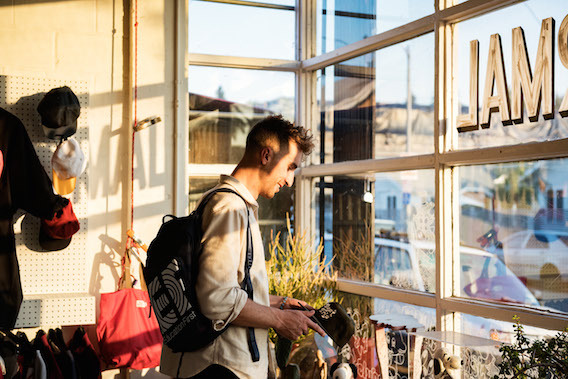 This Silver Lake boutique, located in an old moped shop, offers a mix of new and vintage menswear, home goods, products and art supplies for “gentlemen of sports and leisure” who live at the intersection of urban sprawl and the great outdoors. 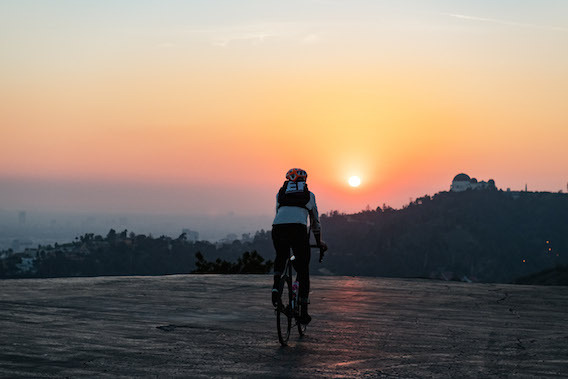 A ride up to the Griffith Park helipad is a fitting close to a full day of exploration. It’s the ideal place to hit pause and watch as the city below makes its stunning transition from watercolor sunset to beaming lights.